The fabric of Freeland has been forever altered as Black Lightning’s latest installment tossed viewers into uncharted waters. Jefferson Pierce was ousted as principal at Garfield and his role as Black Lightning was exposed to close friend Det. Henderson. Jefferson isn’t the only Pierce suffering, but it should come as no surprise that Black Jesus always falls hardest of all. Lost among the Pierces’ conflict is the relationship developing between Tobias and Khalil. With Syonide gone, Tobias stresses to Khalil the need for him to step up his performance. Tobias admires his focus, but believes that Khalil must implement better internal structures to fulfill his new role as an enforcer. He gives Khalil an opportunity to prove his worth when an underling named Rion grows lax in delivering his weekly cash drop. Khalil is dispatched to Club 100 to confront Rion. Several 100 members make fun of Khalil’s new look. They even refer to his previous life as a sign of his softness. Khalil shows this to be the wrong move when he threatens the gang members, identifying himself as Painkiller, and kills Rion with a dart to the neck. Lynn is forced by agent Odell to recruit Dr. Helga Jace to aid her in caring for the Green Light Children. The problem is Jace is currently in jail for conducting experiments on patients that left ten people without feet and one dead. Jace accepts the gig in exchange for one visit with her son. 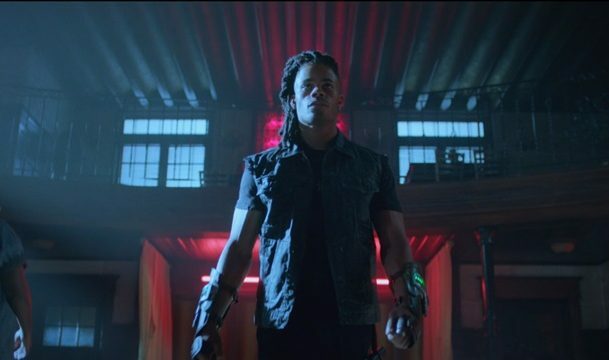 The ASA isn’t treating the situation recklessly, and Jace’s movements within the lab are restricted by an implant. Jefferson is dealing with his own forced reset as well, both in and out of costume. It turns out that Garfield’s new white principal, Mike Lowry, has more than the average amount of arrogant bones in his body. Jefferson is forced to bite his tongue during their conversations before cleaning out his office in one the season’s more emotional scenes. On the super hero front, Henderson calls on Pierce to interrogate a suspect in the disposal of Detective Summers’ body after Tobias murdered him. Jefferson accepts the small olive branch and determines that the culprit was forced to burn the body by Tobias via Khalil. 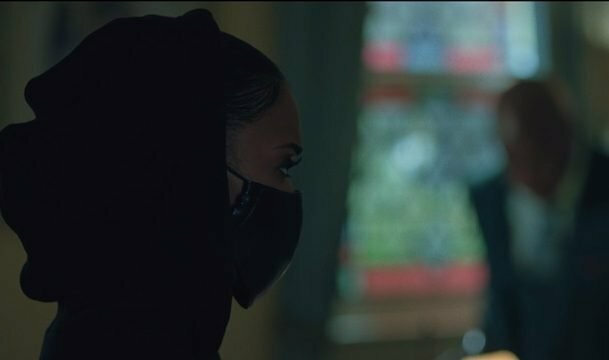 Black Lightning uses Khalil’s mother to contact him and set up a meeting between the two. 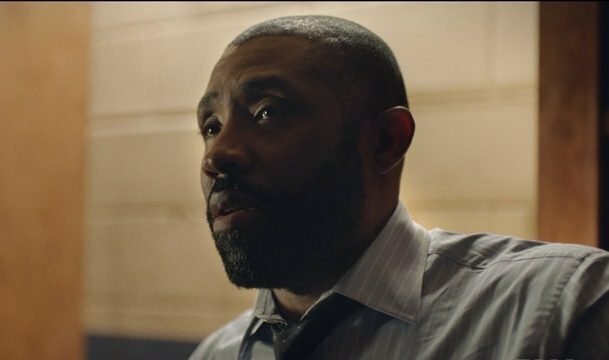 Black Lightning tries to convince Khalil to give up Tobias to no avail. Khalil tries to dart him, but, to the youngster’s amazement, he catches his dart in an electric sphere. Jefferson’s efforts might not have produced results, but an anonymous tip leads Henderson to arrest Tobias at his mausoleum. Henderson informs Jefferson afterward, leaving Black Jesus speechless and on the brink of tears. Anissa’s secret funding of Reverend Holt’s social advocacy hits a snag when the church’s clinic comes under financial threat from a real estate developer. Anissa sets up a large score to secure the $300,000 needed to save the clinic from being sold. After she and Gambi determine that the development is clearly a money laundering front, Gambi accompanies her on her mission. The duo succeed in their task, taking down a number of criminals and delivering their cash to a gracious Rev. Holt. Jennifer’s criticism of Anissa’s flippant relationship with Zoe B. causes her to reevaluate her need for a serious personal relationship alongside her role as Thunder. The realization causes her to visit Grace at work. 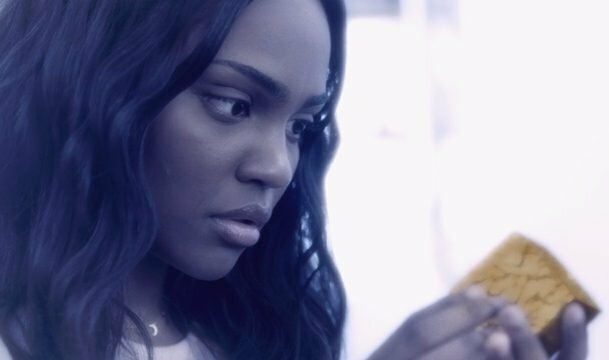 Anissa apologizes to her former flame for how she discovered her relationship with Zoe, but not the relationship herself. Both women confirm they were seeing other people during their fling, but Anissa’s desire to give a relationship with Grace a serious shot leaves the ball in a smiling Grace’s court. Jennifer is going stir crazy while being confined to the house. It has done some good though, as she is beginning to learn how to control her electric powers. She displays this by giving Anissa a single-fingered shock as a joke. These efforts cause her parents to contact a mysterious metahuman named Pereena to aid her training. Their initial meeting freaks Jennifer out. She takes that feeling out on her parents for not including her in the decision to recruit Pereena. Jefferson holds his daughter close, profusely apologizing for the Pereena situation. He also apologizes for passing down a struggle Jennifer never asked for. Jennifer eventually agrees to the training, which Pereena conducts in a reality she manifests both for Jennifer’s safety and comfort. While her powers are of concern, Pereena also wants to explore the emotions within her. What begins with benign matter manipulation turns into an electric blaze as Jennifer’s personified emotions engulf her. 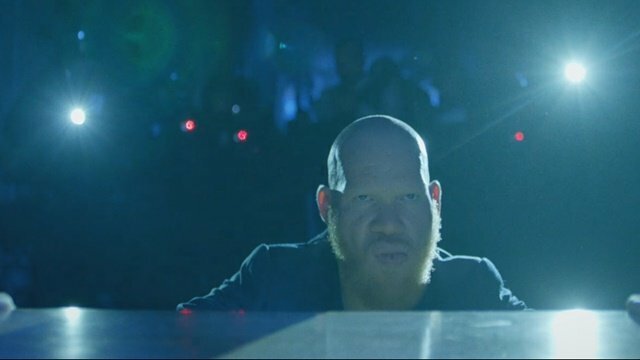 What do you think about Black Lightning season 2 episode 3? Let us know in the comment section below!